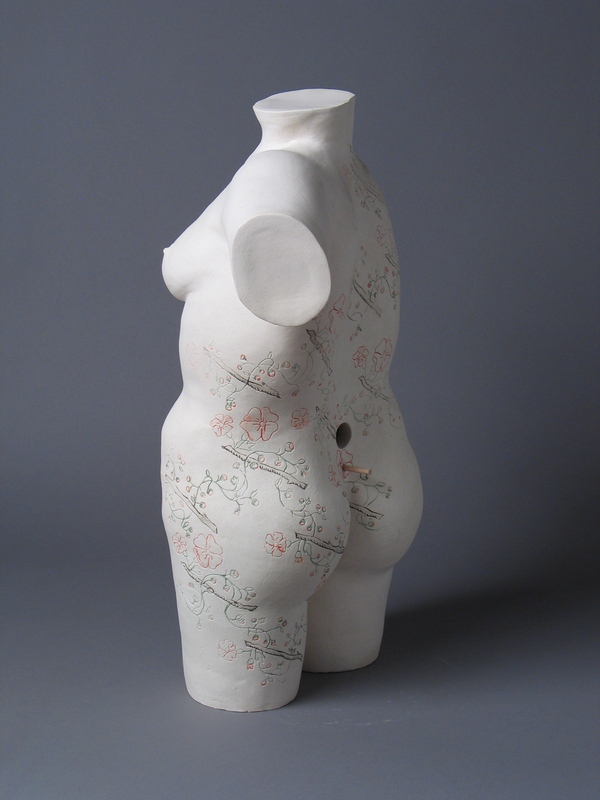 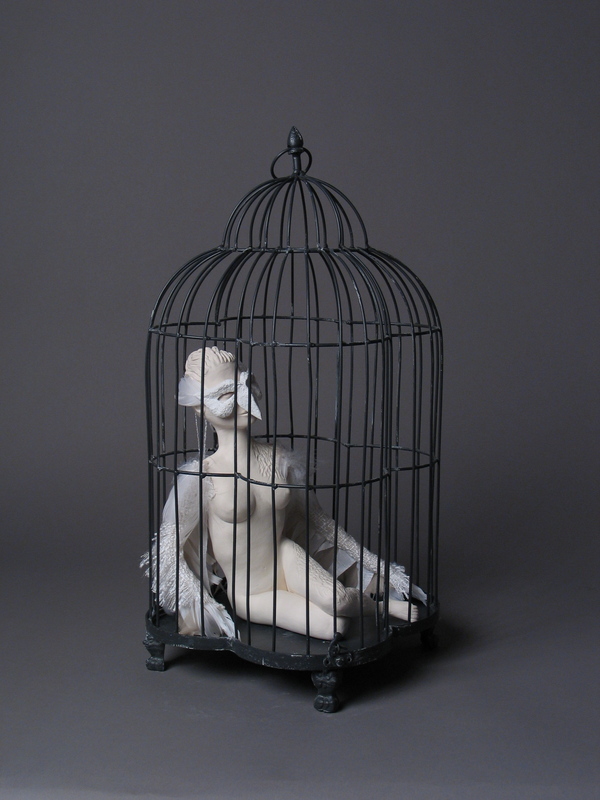 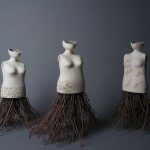 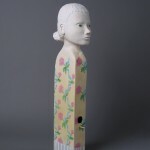 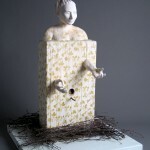 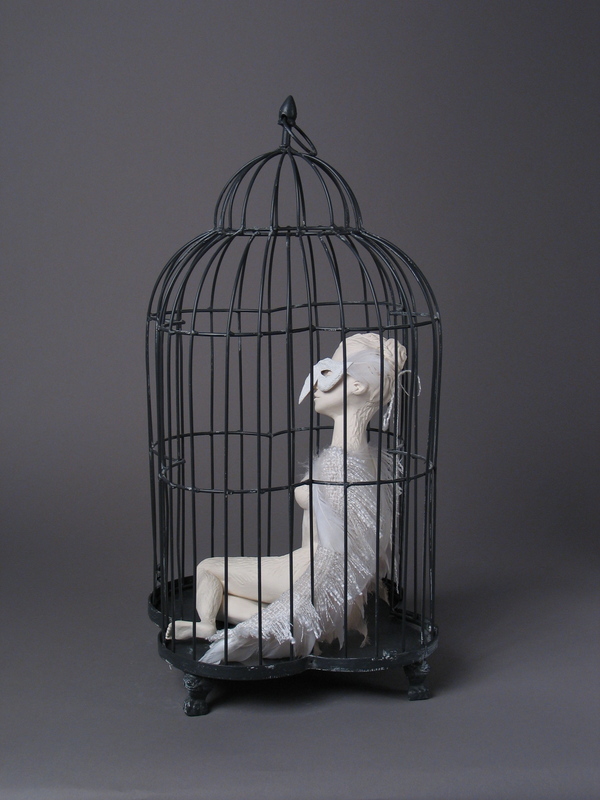 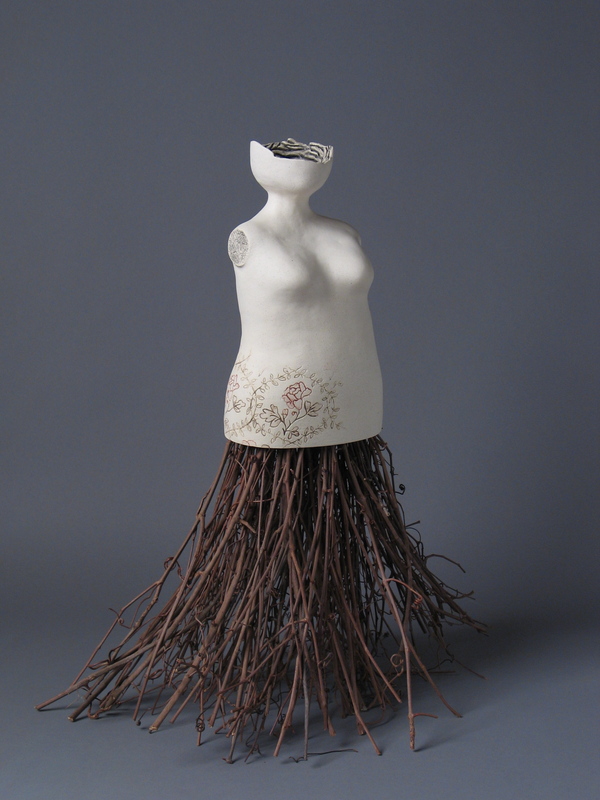 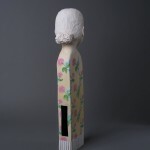 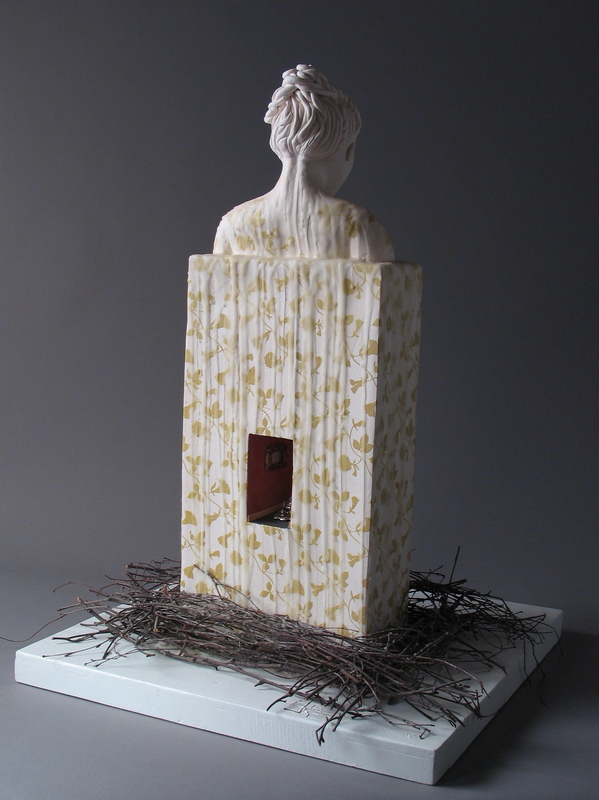 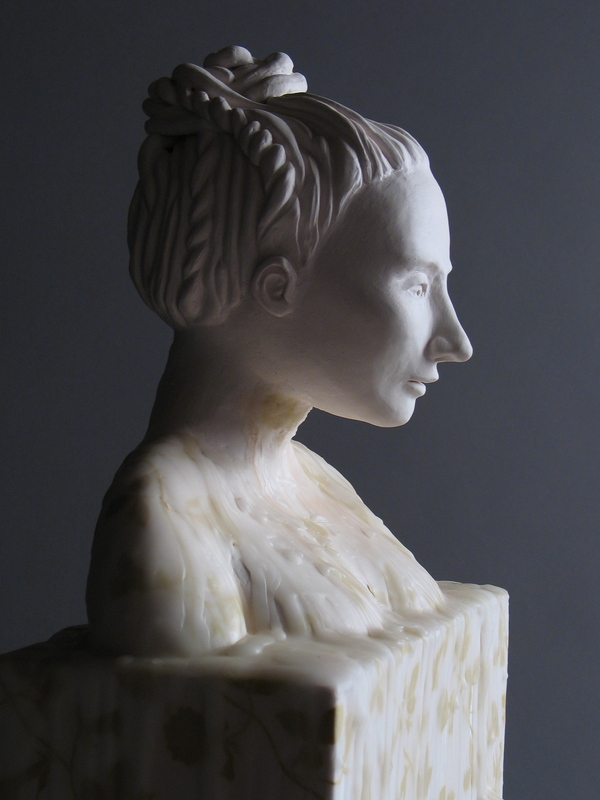 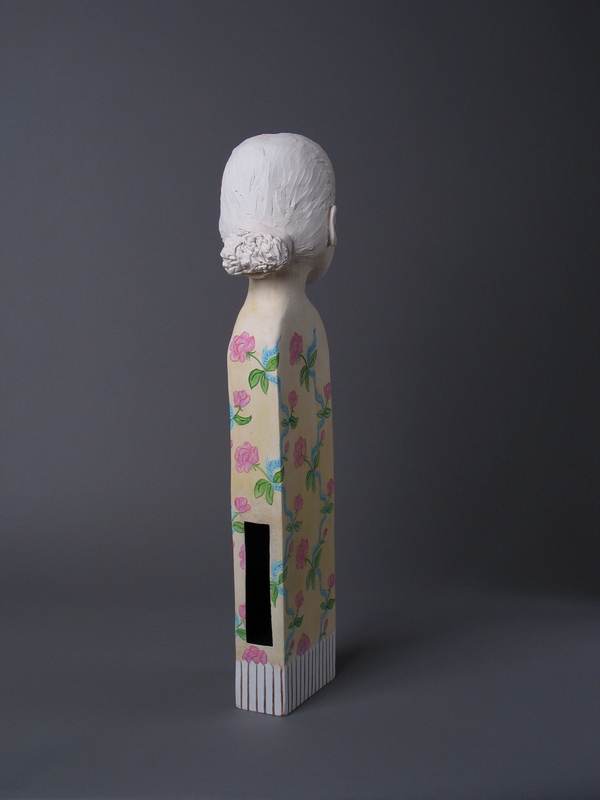 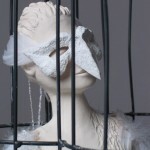 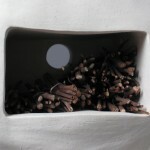 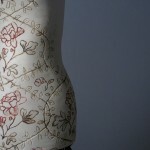 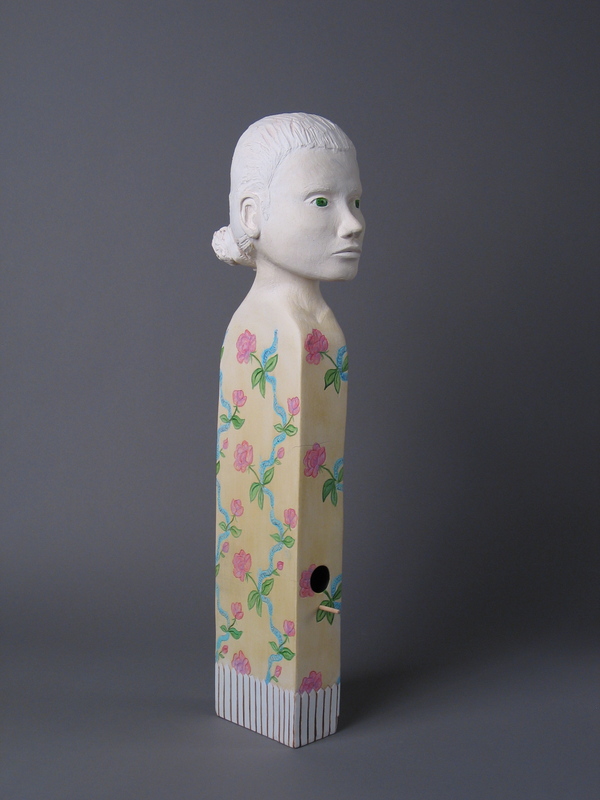 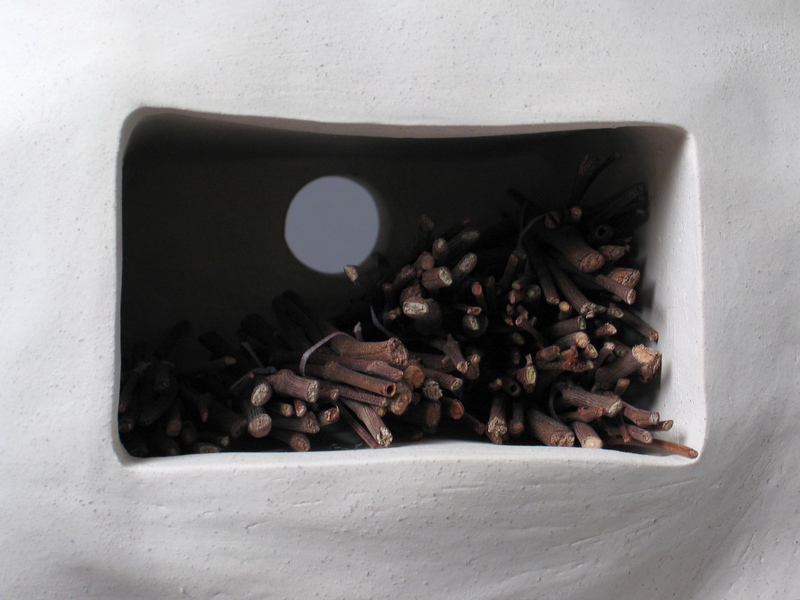 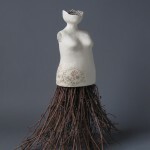 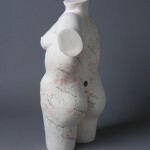 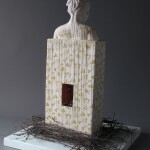 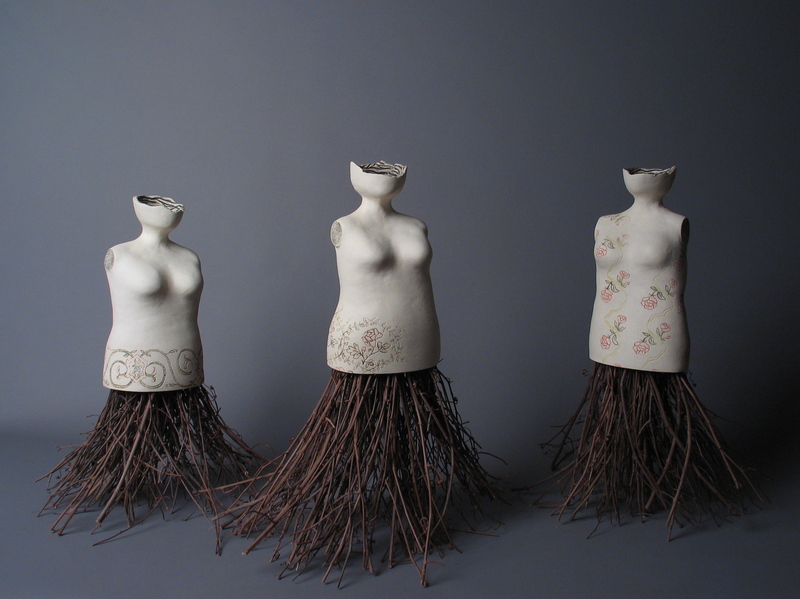 Employing ceramics and mixed media in the creation of sculptures, Dori Luthy-Harrison’s current work is influenced by her own experiences growing up as a female in western society, specifically exploring the ways in which a woman’s identity is tied to her choices around reproduction, domesticity, and home-making. 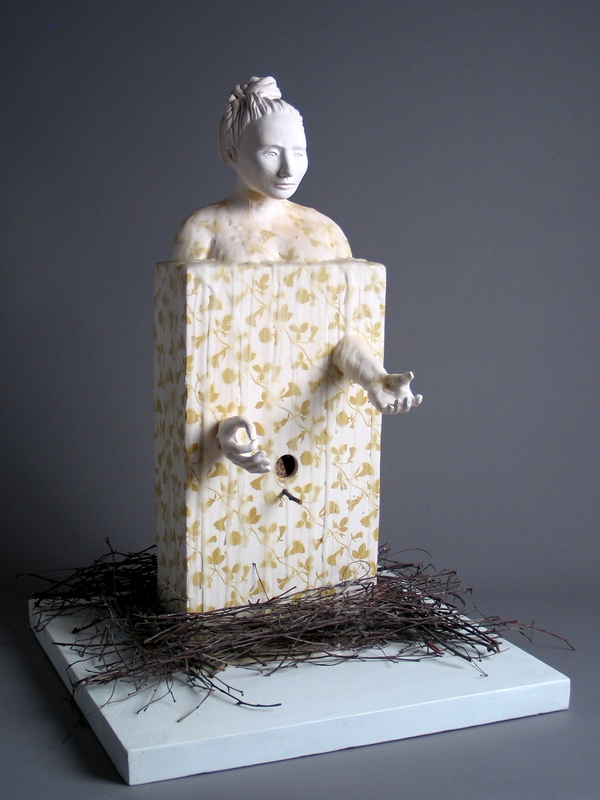 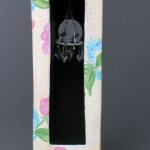 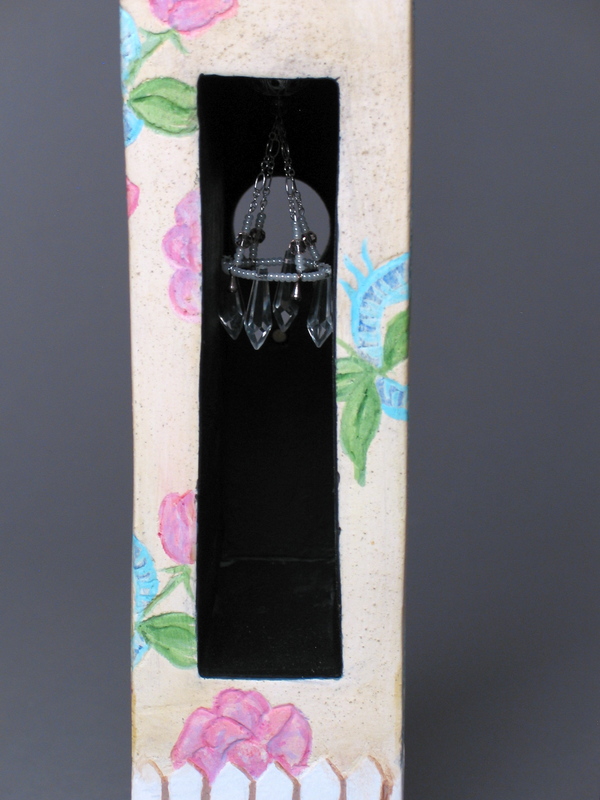 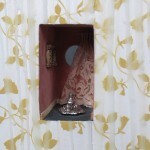 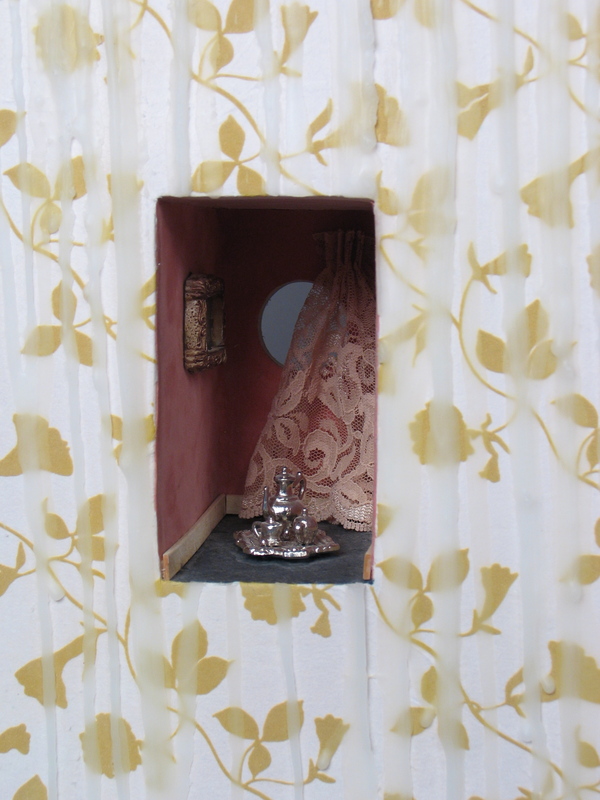 Using the imagery of nesting and birdhouses, combined with traditional symbols of femininity, the work draws quirky and quiet parallels between the way both birds and women are encouraged in their roles as homemakers. 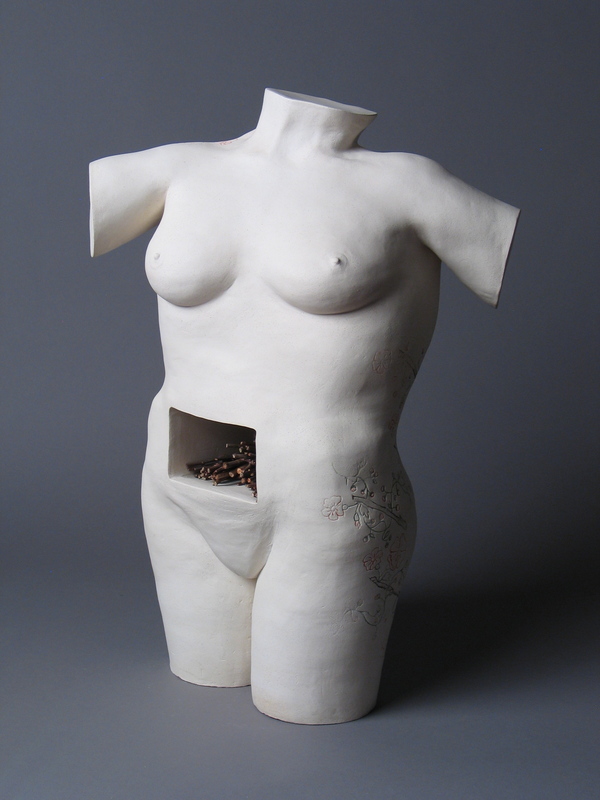 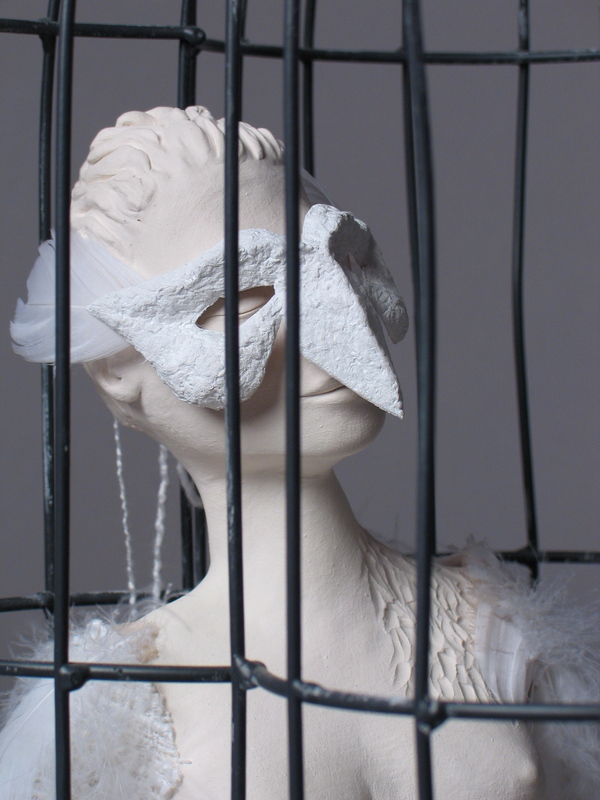 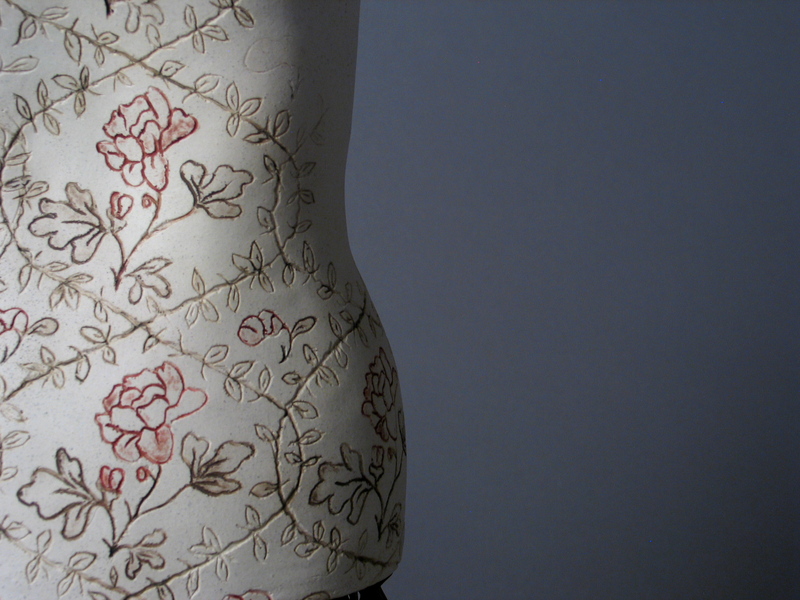 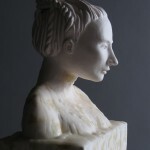 By contrasting the female body, often truncated and attached to other forms, and highlighting the beauty of the shapes with a variety of textures, colours and patterns, each sculpture begs to tell it’s own story about woman finding self.